Wow! What A Nice Story. #Sackville Residents Help Replace Decorations. | Sack-Vegas!!!! Wow! What A Nice Story. #Sackville Residents Help Replace Decorations. This tale has such a nice ending! 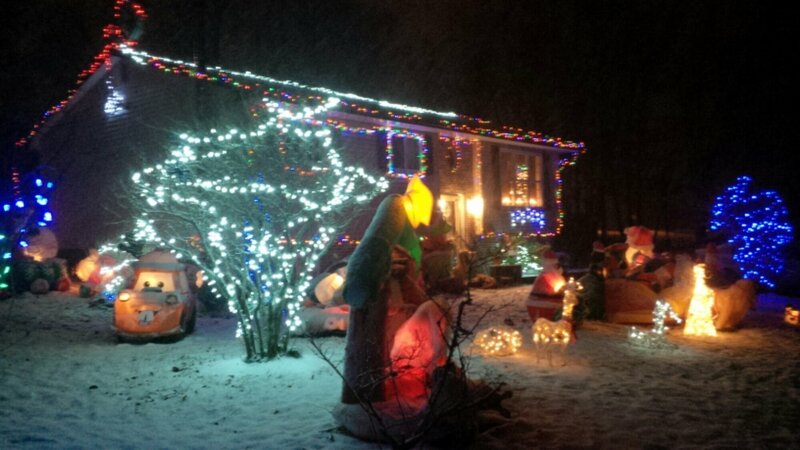 So there was a terrific looking decorated house on Cavalier which was in our “Sackville Shines” contest and some vandals stole/damaged a bunch of decorations. I blogged about it here and mentioned Randy’s Pizza was chipping in a prize for them for all their hard work and for the hassle from the vandalism. CTV got wind of the story and talked to Mr. Bowden (Homeowner/Decorator) about the incident on camera and within a matter of hours the decorations were found but mostly damaged and unusable. Check out the above link to watch the news story about what happened next. No surprise the Sacktown people did the right thing here, we won’t let a couple of jerks ruin a good thing. Posted by Sacky on December 27, 2013 in Shared News.